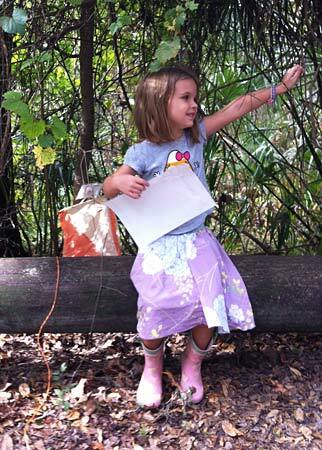 The USOF Little Troll Program is designed to give parents a method of teaching their children to orienteer. All children participating in the program must be accompanied by a parent while orienteering on a String-O or White course held as part of a USOF-member-club regular event. This program is available to all children attending USOF member club orienteering meets, whether they are USOF members, club members, or visitors. Each child participating in a qualifying event can earn a maximum of 1 sticker per participation day to put on his/her Little Troll card. At the time the sticker is issued, a club meet official should sign and date the child's card above the sticker. If the child participates in more than one course on a given day, he/she cannot earn extra stickers. Little Troll (yellow), Chipmunk (orange), Rabbit (green), Roadrunner (red). If a child starts at Chipmunk (orange) level, he/she cannot go back later and get Little Troll (yellow). If he/she starts at the Roadrunner (red) level, he/she cannot go back and get any other levels. The Little Troll (yellow) and Chipmunk (orange) levels can be done on either the String-O or White Courses. Rabbit and Roadrunner stickers can only be earned by a child accompanied by a parent on the White Course. The child will receive an award patch from USOF for completing the card. A child can be kept at a given level thru multiple cards. This should be done when the parent decides the child has not yet mastered the skills of that level. Therefore, a given child can receive multiple award patches at a given level. A child should only be moved to the next level when the parent is satisfied he/she is ready to orienteer at the next skill level. Directions for each skill level are listed below, and are on the back of the cards. After the course is completed return to the finish area and receive your sticker. Place the sticker on the front of the card, and have the FLO official/volunteer sign and date the card above the sticker. When five courses have been completed, send the entire card with $1.00 to USOF to receive your Little Troll patch. Congratulations! Once you have successfully met all of the above requirements, you are ready to move up to the next level. You may pick up your new card at the next event you attend. The Chipmunk Level is designated for participants on the White course who need a lot of adult assistance. 1) Be comfortable in the forest. 2) Read the basic symbols on a map. 4) Become familiar with meet procedures. After the course is completed return to the finish area and receive your sticker. Place the sticker on the front of the card, and have the FLO official/volunteer sign and date the card above the sticker. When five courses have been completed, send the entire card with $1.00 to USOF to receive your Chipmunk patch. The Rabbit Level is designed for participants on the White course who need some adult assistance. 1) Know commonly used map symbols and colors. 2) Can orient the map by using terrain features. 3) Keep thumb on the map to mark current location. 4) Begin to consider route choices. 5) Orienteer along a single path. 6) Be aware of basic safety rules. After the course is completed, return to the finish to receive your sticker. Place the sticker on the front of the card, and have the FLO official/volunteer sign and date the card above the sticker. When you have seven stickers and signatures, send the entire card with $1.00 to USOF to receive your Rabbit patch. The Roadrunner Level is designated for participants who are able to do a White course unassisted (an adult should follow along for safety purposes). 1) Keep the map oriented during the course. 2) Make his/her own route choice decisions. 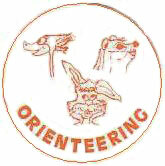 3) Orienteer from path to path. 4) Know the basic safety rules. After the course is completed, return to the finish to receive your sticker. Place the sticker on the front of the card, and have the FLO official/volunteer sign and date the card above the sticker. When you have seven stickers and signatures, send the entire card with $1.00 to USOF to receive your Roadrunner patch.